The relief carved on the slab is the oldest piece of truly monumental sculpture in the western world. 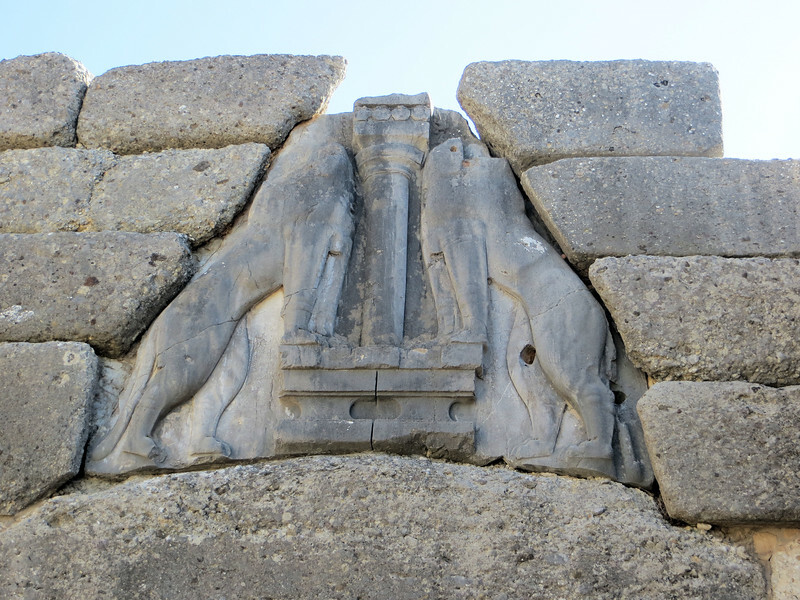 It shows a column with, on either side, a lion standing with its front paws on an altar. The heads of the lions were separate, made of a softer material attached to the slab by dowels, the holes for which can still be seen. The heads, however, have been lost. They would have looked outward toward the visitor as he approached the gate.